SHTF Tuff Trauma Shears - Olive Drab Green - BOGO | BUDK.com - Knives & Swords At The Lowest Prices! 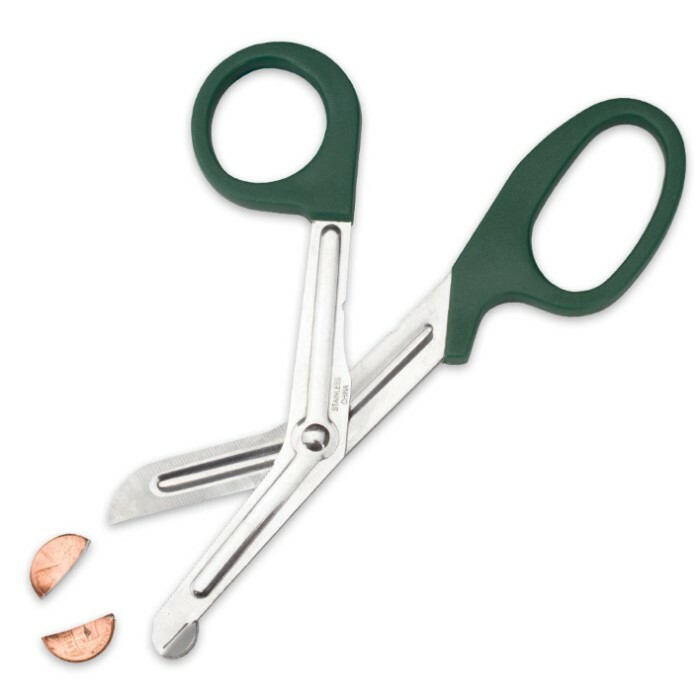 Trusted by medics and surgeons for decades, there are countless uses for these super-sharp trauma shears! 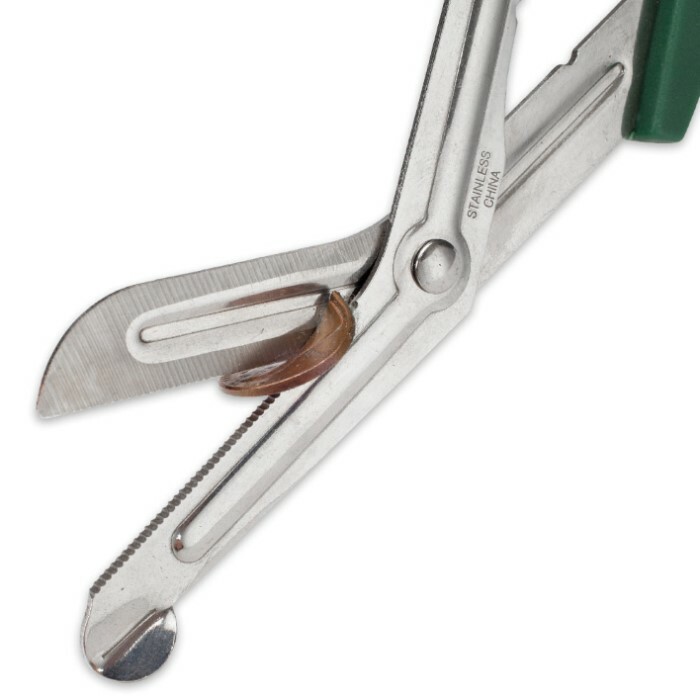 Keep a pair in your garage, kitchen drawer, vehicle, workshop, office or anywhere you need exceptional cutting power. They'll even cut through a penny! Think of all the other things they can cut! They cut very well and the price is hard to beat. 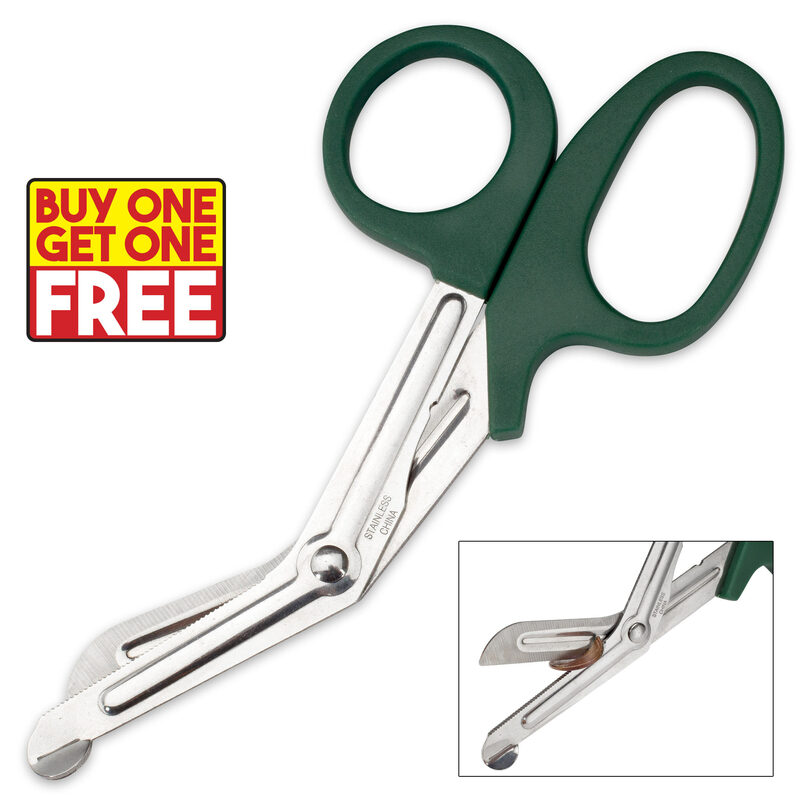 I've seen better trauma shears, but not much better, and definitely nowhere near this price! Perfect for cutting heavy materials! Must have for your First-aid kit and a nice addition to your tool box/kit. No lie about cutting a penny. I got one for my bugout bag and one for the med kit. Also cuts leather nicely.